Two scathing reviews by scholars working with the IPCC show why the organization is hopelessly corrupted by politics | Watts Up With That? Inter-governmental… No need to go any farther. Time is long past due to get the US out of the UN & the UN out of the US. It quit being of use to us & the world decades ago. Applies quite well to the IPCC specifically and the UN in general. The international climate negotiations of 2013 in Warsaw concluded that poor countries might be entitled to compensation for the impacts of climate change. It stands to reason that the IPCC would be asked to assess the size of those impacts and hence the compensation package. at least he openly admits this. Great quotation by J. Pournelle. Thanks. We all should know that the first type is always squeezed out by the second. Mature bureaucracies exist for self-perpetuation and the serve the power and perquisites of the bureaucrat. Richard Tol is a Professor of Economics and not a physical scientist. If we assume he missed the memos about Bristlecone Pines, a lack of climate sensitivity to CO2, YAD06, Harry_Read_Me, no Hot Spot, sea level not doing much, ocean not acidic, and many others, we can attribute that to the parochial and shallow nature of departments of economics. He needs enlightenment, not ridicule. Richard Tol’s reference to a “carbon tax” is incomprehensible to me. what is it he is saying? that we should have one, & that it should keep increasing? otherwise, good to have these two speak up. According to Dr. Tol, “we only need a carbon tax,” one that “rises over time.” Yeah, that’s all we need, a carbon tax hockey stick. I can guarantee that once a carbon tax takes hold, there will be no 17-year hiatus in tax increases. Even if there is no future warming, governments will find other “needs” for the carbon tax. That’s because there are always more good causes than there is money to pay for them. The poor and middle class will suffer the most from a carbon tax. The rich can afford the tax and will also be in a position to gain wealth by taking advantage of green-energy subsidies and other credits offered. If a carbon tax succeeds in reducing the use of fossil fuels, it will only be because the non-elites in society will be unable to afford them. If subsidies are given to the poor to help them survive, then the use of fossil fuels will not be reduced appreciably. So the only real effect will be to make the masses dependent on government for their survival, which is what big-government elites want most anyway. They just want their useful-idiot supporters to believe their main goal is to prevent climate change. But that’s just the means to another end. It always has been. Regarding the carbon tax, I don’t really support that either. But I don’t care. Richard Tol’s got stones and looks like an man of integrity to me, and I applaud him. Richard Tol is a Professor of Economics and not a physical scientist…we can attribute [his misunderstanding several material factors] to the parochial and shallow nature of departments of economics. He needs enlightenment, not ridicule. You’re so generous in spirit, Mr. Hultquist. Was that “He needs enlightenment, not ridicule.” a quote from Dan Pearl, by the way? It sounds like something he would have said. Of course we know how that worked out. Dan was the one who got enlightened. The Irish delegation must be one of the lesser malefactors. These warmists live well. HESSE: Do you have any lingering doubts that human activity is the primary cause of climate change? HESSE: At the WGBH climate talk you mentioned that 89 percent of scientists as a whole and 99 percent of climatologists accept that human-driven climate change is occurring; what are the main points still in contention? HESSE: What are your primary concerns regarding the public debate over climate change? HESSE: In Boston you mentioned two of these aspects, the concepts of motivated reasoning and cultural cognition. What role you think they play? GOLDSTONE: Cultural cognition is essentially the idea that we subconsciously filter factual information through our deeply held beliefs, rejecting those items that conflict with or threaten our worldview. Motivated reasoning is a related phenomenon in which we actively — but, again, subconsciously — seek out information that substantiates or conforms to our worldview. We also tend to dismiss dire information if it is not presented with some message of hope or action. Climate change is an overwhelming challenge that could threaten beliefs in equality, justice, independence or fundamental human goodness, to name a few. The end result is it can be very hard for some people to accept. HESSE: You mentioned that some scientists accuse journalists of perpetuating the climate debate. Do you think media insistence on “balanced” reporting is responsible for some of the climate change skepticism? GOLDSTONE: I’m not aware of research that quantifies the impact, but I’m sure media coverage has affected the public perception of climate science. For a number of years, even well after there was a strong scientific consensus about human-caused climate change, much of the media continued to give equal weight to dissenters in an effort to provide a balanced account of a controversial subject. However, the end result was a distorted depiction of the state of the science. ***if the MSM has been 97% CONSENSUS & only 3% DEBATE for the most part of a decade, why was Goldstone even bringing up the absurd accusations of so-called “climate scientists” that journalists were “perpetuating the perception of debate”? methinks Goldstone has been reading too much Lewandowsky! At some point the IPCC is going to have to face up to the reality of contemporary lukewarmness. Once that occurs the impact on the enabling international bureaucracy will be really interesting to watch. blame the Teabaggers!!! that’s ugly, Frank. The people behind a new, much lauded climate change documentary may find themselves in a quandary following breaking news about a Republican Congressman. In a press release today for Showtime’s Years of Living Dangerously, the producers of the series announced that Michael Grimm, a controversial Republican Congressman from New York and long time global warming denier, will state that he now believes in anthropogenic climate change in the next episode. ***Climate activists just can’t seem to catch a break on Capitol Hill. In a partial transcript of his interview with MSNBC’s Chris Hayes, Grimm said he changed his mind thanks to former Rep. Bob Inglis (R-S.C.), who is leading an effort to impose a tax on carbon emissions. No one, except the delusional, has ever doubted the reality of climate change. These people have so bastardized their own terminology that they can no longer put together a sentence that is coherent. His advocacy of a carbon tax finishes off Richard Tol for me. He betrays his true colors, which are red and green stripes. His credibility is zero, as far as I’m concerned, and his comments are most unhelpful to those of us trying to stop the damage being done by AGW advocacy. He is no better than the other dissemblers at the IPCC. His dissent, I think, can only be explained by his sense that the AGW meme is about to collapse (hope he’s right about that). Is he aware of the deaths and misery and economic devastation carbon taxes have caused where they have been instituted? The most regressive form of tax ever devised, hitting low-income people first and worst, and probably even more conducive to government and bureaucrat greed and larceny than the income tax. One hell of a device for upward redistribution of wealth, from poorer to richer. If we as skeptics need to fight any one aspect of the AGW meme the hardest, it is carbon taxes. Let’s hope a few more insiders are emboldened to protest–or at least to back up the protesters. And let’s hope Judy Curry gets more open allies from alarmist apostates. They can be polled by email. Within three days enough Yes votes, and a high enough %age of Yes votes, should have been received. Anthony’s press release calling for an IAC review could simultaneously announce the formation of the CCC, which will issue similar statements in the future, based on a similar polling and vote-evaluation procedure. There’s no need to go through a lot of formalities in forming the CCC. Forming it on-the-fly in this fashion will be much better. It can work in a similar ad hoc fashion in the future, with AW polling leading contrarian players and getting their green light before taking action. PS: Anthony: Maybe dub the organization the Contrarian Climate Consensus. That makes clearer the informal, ad hoc nature of the organization’s stance on each of its position statements. And it’s also a nice little dig at the Conventional Climate Consensus. You are absolutely right. So much BS about 1.5 page document edited to 0.5 page document. I read both versions. Both are BS. What is Dr. Stavins complaining about? There is no mention of this in the BBC. I wonder why? The BBC’s review of the papers does not mention the Mail item, it prefers an item on the mango QUANGO! 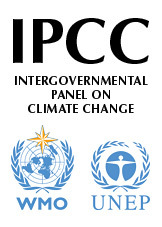 Donna Laframboise has made it quite clear for years that the IPCC is first and foremost a political entity, charged with providing a pseudo-scientifically – biased smokescreen to promote a “progressive” political agenda. Why all the shock/horror that Ms Laframboise has been proved correct yet again? I feel I should point out Richard Tol’s comments ring hollow if one believes what I’ve discovered about his role in the IPCC report is correct. I’ve been discussing this a bit at Judith Curry’s blog on her post about the same topic, but people there largely avoided any reasonable discussion. A better starting point would be these two posts I wrote. I’ll provide a brief overview. It appears after the IPCC AR5 WGII Second-Order Draft finished being reviewed (in the very last round of expert review), a section from Chapter 19 was moved to Chapter 10. In addition to being moved, the section was completely rewritten. Numerous pieces of information and references were removed. Two graphs were deleted, being replaced by a new graph and table. At least one new and significant conclusion was added. This conclusion was dependent entirely upon results from over a decade ago, with no discussion of more recent results being provided. All of this was done after reviewers were finished examining the report. All of the changes brought the section more into line with Richard Tol’s view. A new, central conclusion of the section (that moderate warming may cause net benefits) nearly exactly mirrors many statements Tol has made. The new table and graph were both taken from Tol’s published work. And “coincidentally,” Richard Tol was a Coordinating Lead Author of the chapter. Supposing I’m correct on the facts, it appears Richard Tol subverted the IPCC process to alter a section to make it favor his views/work. In doing so, he removed a lot of material, including discussion of results published since the last IPCC report, results far more recent than the decade old results a central conclusion of the new section depended upon..
That’s the trouble when you apply natural selection to social organisation, the more extreme you are, the more you and your views tend to get promoted, however in reality and science the more extreme you are the more wrong you tend to be. So there is a difference between how social organisations and dynamics work, and how nature and science actually is. Never been any different, the moderates tend to get filtered out. The whole thing sounds like Chicago politics at work in Washington and the rats got themselves a little mouse to play with. This should get the charges dropped in 3, 2, 1…it should just fade away never meant to be pursued. They may even let him get reelected. It’s better for the liberals if they have bi-partisan support rather than just another tree hugging liberal. 12000 peer reviewed papers and they can’t predict anything? lol. That is based on the assumption that continued co2 added to the atmosphere will be net bad. Why would 600ppm be net bad? No carbon taxes are necessary. If you are really concerned about co2 then tackle deforestation and plant more trees. The biosphere is already greening due to the toxin called co2. I submitted a comment earlier which didn’t pass moderation. Just checking to make sure it’s not a problem on my end. I really don’t understand people like Chad Wozniak (above, at 8:24 pm) who write off Richard Tol because of what he says about a carbon tax. Sure, I don’t think there should be such a tax either, but given Tol’s eminence and his inside knowledge of the IPCC and its processes, he is one of the anti-IPCC movement’s brightest hopes. It is people like Tol, AND ONLY people like Tol, who can act as the media-acceptable figureheads we need. Carry on firing broadsides at everybody who disagrees with you on anything, Chad, and you’ll end up in a movement with exactly one member. Dr. Tol’s comments, accurate as they may be from an institutional and politico-scientific complex perspective in terms of the operation of the IPCC, still don’t provide any convincing argument as why the IPCC and any of its derivatives should be regarded at all. This would include the “body of research” used in the various chapters of the process. He seems to suffer from the same “group think” he decries in his comments. From what I’ve been able to fathom over the last few years is that “anthropogenic climate change” is solely due to the release of carbon dioxide into the atmosphere from otherwise sequestered sources. The euphemistic term “greenhouse gases’ is a nod to the reality that water is the biggy, but the only mechanism for global warming seems to be ascribed to lie at the feet of CO2. But we presently know (and acknowledge that the science is far from settled) from straightforward physics, the geologic record, and the global planetary response in real terms, that the contribution of CO2, from all sources is insignificant to climate change in human terms. So why do want or need a carbon tax/. There is only one answer: income/asset redistribution without compensation. Elitist theft. A carbon tax won’t mitigate land subsidence, won’t mitigate earthquake or vulcanism damage, won’t mitigate typhoon, hurricane or tornado damage on greatly expanding human infrastructure, won’t keep the lights and heaters on in energy starved urban environments, won’t keep unsustainable wind and solar farms going, and won’t pay for new energy developments no associated with fossil fuels. In short, its another revenue stream to keep the political class insulated from their own follies on behalf of the proles while they continue to fritter away the existing tax bases to feed their insecurities. Has Dr. Tol even taken the time to evaluate the economic cost of the IPCC itself in real dollars? How many poor small nations could have had a waster supply, primary education or health care just on the expenses of the IPCC alone over the years? The most significant contribution of the IPCC, in my mind, is the utter destruction of the credibility of academia, and in particular, of the integrity of science. For many years, I used to grant acknowledgement of varying degrees of truth in academic works, rather than have to spend the time myself evaluating the research. These days, to me, nobody with a PhD who opens his yap has any cred without exhaustive review. That’s the real cost of the IPCC: the replacement of knowledge with sycophantic opinion. Anthony, I’m not sure providing better science and information will matter. People don’t seem to want the science. They don’t understand it and you can’t make them listen. Just ask the alarmists because they’ve spent millions, lied using a models all the way down approach and fudged our data they collected for us trying to pretend the we were killing earth. What they keep finding is the people know it’s another money/power grab from the 1% and will only take so much blame. Looks like we’re the ones that need to occupy Wall Street. The msm and ngos will continue to ignore skeptics and the past is proof enough of that. Where’s the Audubon Society. Do we have to organize ourselves to protect endangered raptures? Between the models, Mann, Jones and the Team, Climategate 1 & 2 plus Gleick and Al Gore’s stupid movie they’ve had plenty of chances to question climate alarmist’s motives and demand they work above board but the msm rarely surprises one. I rather like the idea of channeling our efforts to identify and remove bad laws and regulations. Take them to court and make them follow the rules. Use the courts to repeal unjustified laws and regulations one at a time. Just keep chipping away. We need to find sympathetic judges, use the progressive rules, follow the law and piss them off. What’s not to like? Second, I want transparency. My representative in Washington should represent me by ensuring all research paid for with US taxpayer money be given to us free of charge. We should demand access to all approved grant proposals, data, code, published papers, journals and diaries that explain all choices and decisions with everything on-line at their website at no charge. I’m pretty sure we pay enough already. I should not have to use Twitter or Facebook etc to track the research as it should be available through their website, real time, all the time. Mostly, this will take money to start and run so we need an umbrella organization to protect the taxpayer’s investment … in the process and our data. What makes Tol think academics would do a better job? The only scientists who really understand the intricacies of climate theory are those working in the labs – the ones making the measurements who understand the uncertainties, methodologies and statistics of the field. They are so compartmentalised that few from one field (say oceanography) understand what the others are doing or the limitations of others methods (e.g. 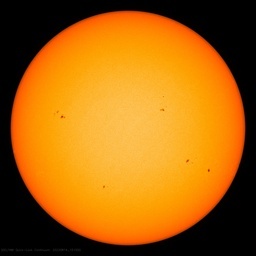 solar terrestrial physics). And few of these real scientists want to leave the lab for the stage of international committee and policy work. Its a conundrum – how to proceed. I came across this same problem when the London Dumping Convention set out to regulate dumping of toxic wastes. The UN/IMO body – the bureaucrats, set up a Group of Experts on Scientific Aspects of Marine Pollution (GESAMP). This pulled some scientists out of the labwork for the required number of days – and guess what? It drew a lot of modellers! They constructed a self-cleansing ocean and a monitoring system just in case they got things wrong and had to turn off the taps (discharges and dumping). The first models looked fine but after a decade, toxic substances were appearing further up the food-chain than the models predicted. Plus oceanographic research made new discoveries. The models needed revising. BUT…guess what? Massive investments had been made in 1) worldwide system of monitoring and toxicology labs based on the ‘dilute and disperse’ principle, 2) licensed industrial processes that discharged toxic material. Hence an investment in NOT revising the early models. Sound familiar? Now you guys at WUWT may not like the rest of the story. A small group of scientist activists – led by German and Scandinavian fisheries labs – mainly government funded, began to criticise the models, the pathways and the toxicology assessments. Not enough to pull the supertanker around. Then they cooperated with environmental activists, trade unions and lawyers (that was my role) to bring political pressure and publicity to bear – chasing the dumpships, blacking the ports by the unions, writing press articles and even publishing scientific papers. It too ten years to turn around the ‘consensus’ of all the supporting science academies/colluding laboratories/recalcitrant governments – and it was done on the floor of the UN as well as by inflatables on the high seas. Here’s the first bit you won’t like: Greenpeace International led that political and media effort. I represented them on the floor of the UN when we won the vote. The second bit is that a group of scientists and lawyers then proceeded to rewrite the rulebook – encouraged and paid for by a newly enlightened IMO bureaucrat ( he has always a good guy – name of Manfred Nauke) – and the Precautionary Principle – the one you love to hate – was borne. Contrary to the hate-mail, it does not say what most people think it says. It reversed the ‘burden of proof’ that allowed dumpers and polluters to carry on until there was absolute proof of ‘harm’…..very hard to prove in the marine environment, at least before the harm is so pervasive it is too late to turn off the taps (e.g. PCBs affected immune systems of marine mammals). Now the bad guys had to prove no harm or not get a license to dump – also very hard to do! Upshot….industry woke up to Clean Production Strategies and started to find replacement processes that meant it did not have to use toxic material or produce toxic waste. I helped set up the shift that resulted in a UN office of clean production. It took 10 years to turn the consensus, and another ten years to phase in the legislation without imposing too big a penalty on essential industries. Actually, Greenpeace dropped off the pace in the second phase – it is not glamorous work and doesn’t play well to the supporters’ gallery. But their guys out there on the seas in the first decade were top notch – real warriors. I have tried to tell them that something similar is operating with the IPCC. They will not even meet, let alone listen. I wrote a ‘green’ book on the theme (Chill: a reassessment of global warming theory) – including the best policies to tackle resilience to natural climate change (and the small anthropogenic component), but the greens refused to review it. This despite endorsement by the drafting author of the Kyoto Protocol (who was with us on the ocean campaigns before helping set up the Framework Climate Convention) – who now agrees my position. I get pilloried not for my supposedly contrarian science – but for my religious ‘beliefs’ (shamanic), medical preferences (homeopathic), and cosmologies involving the evolution of consciousness (astrological) – whereas John Houghton (first IPCC chair) believes in the Virgin Birth and gets no flak at all. God knows what medicines he uses. Some green even criticised my enjoyment of suits (I only had the one) and business class flying during UN work – whilst completely ignoring the Gorite leader who has his own jumbo-jet (and God knows again, how many suits!). I digress. One thing I learned from the interplay of science and policy should have been a model for the UN (and I did write a paper to help them): there is nothing wrong with a properly constituted science group of advisors – but it has to be broadly drawn and inclusive of critics (sceptics in today’s lingo). The drafting authors need to then spell out the consequences for policy makers – including if the majority are wrong and the minority are right, and some honest assessment of the uncertainty such that the critics can agree it is honest. They then hand that to a SEPARATE group of policy-makers. Policy makers hate uncertainty because politicians tend to use it to promote inaction. And of course, policy makers like to make actual policy – i.e. something that involves action. But that is the nature of politics. In that environment, something quite useful evolves – as with the Clean Production Strategies…..it is called a no-regrets option. It involves spending money and taking action that would be beneficial whichever way the science cookie crumbles. The modern word would be RESILIENCE to climate change or ‘adaptation’. And guess what – it gets about 1% of the budget that ‘mitigation’ gets. And here is why. I recently received a tender for consultancy with the Global Environment Fund/World Bank and the Asian Development Bank (its okay – I live in the woods, am semi-retired and although the money would be tempting, they’d never employ me after writing Chill!) – who are looking for someone to help them spend $1 billion of the GEF (taxpayers money) on ….you have guessed it, carbon dioxide mitigation strategies (that’s jobs for the big boys at tech-giants Siemens, AMEC, GEC, China Photovoltaics and the like). What the world’s poor need is not green electricity, dams, turbines, biofuel plantations and solar panels…..two billion people need clean water, stable soil and good sanitation. Ecological agriculture, community forestry, and water – constitute less than 5% of the global development aid budget. The pain of all this is that there is NO single effective environmental lobby for resilience and sense on climate change. All we have is the sceptic-embrace of the neo-liberal freemarketeers and those who see reds under the beds of a new world government. It is not enough – yet! Dr. Tol’s comments, accurate as they may be from an institutional and politico-scientific complex perspective in terms of the operation of the IPCC, still don’t provide any convincing argument as why the IPCC and any of its derivatives should be regarded at all. Paul, you and I (and maybe even Dr Tol) may agree the science doesn’t support extreme action by citizens or their governments but, Dr Tol is an economist and if he said anything to debunk the science side of the argument the msm would be authorized to keep firing shots at him until he shut up. He spoke in the area where he is a Subject Matter Expert (SME) and his voice has been heard. Maybe a better reference to AC/DC would have been “Dirty Deeds Done Dirt Cheap”. hopelessly corrupted by politics or in other words a normal UN body , and organisation that has never been knowingly be found to be competent. The problem with both of these (welcome as they are, at some level) is that they still omit the key, fundamental problem with the SPM. It at various places asserts “confidence” in predictions of doom, or “confidence” that e.g. over half of the warming observed across a single stretch of 15-20 years of the 20th century (there has been none in the 21st century so far) was due to increased CO_2 rather than natural variation. Yet if one reads chapter 9, devoted to the statistical analysis of the results of the climate models that are the sole basis for any sort of assertion of future climate, they explicitly state (in a single paragraph, carefully buried within the chapter) that there is no way to make assertions of confidence of any sort that can be defended or computed using the laws of statistics. Furthermore, it states that the methodology used to present “average” predictions of the climate models is obviously flawed in many known ways, and that they are going to use it anyway. Of course, writing any such document would bring out the pitchforks and the torches worldwide. It will be interesting to see if Nature writes it for them over the next five years regardless of their beliefs or (at this point) wishes. It is actually a bit sad to see an entire bureaucratic organization that is so invested in a predicted disaster that its members would actually be shocked and miserable if those predictions proved false. Really appreciated your frank discussion. The WB is a large organisation and holds a number of opinions on the subject of climate. A staffer told me today that they have learned not to question decisions too much – just deal with what is the current flavour, tomorrow things may be different. Don’t be surprised when ‘differing opinions’ emerge. To a greater extent than most of the individual governments that make up the body, the WB requires due diligence and a measure of accountability for everything spent. Each examination offers an opportunity to put facts instead of theories before management. This is no trivial thing. It has proven much harder, for example, to put facts before the readers of the Guardian or the NY Times, both of which claim to be informing the intelligent reader, a species they insult daily with their selection bias. Any process, as described in the article above, that requires 100% agreement will necessarily be manipulated by small cohorts for narrow purposes. Democracy was developed to deal with exactly that. “Consensus” is admirable, but when it is not an option, the majority opinion receives ascent to prevent paralysis. Paralysis is no better than deleting 75% of the distilled wisdom of a group of expert scientists to hide facts. A concomitant right of the ‘ruled’ is to be able to “vote the bums out”. Wherever there is taxation without representation, expect trouble. That being the case, a national CO2 tax is going to be difficult to implement. The public is informed enough to deal indirectly with those they cannot remove by dealing directly with those they can. But, they are libcult. What else would you expect from fanatical cultists but lies, deceit and narcissistic self-congratulation? Is it reasonable to expect rational, coherrent discourse and adherence to the scientific method from fanatics? Read the whole letter. What a ^%$# waste of money, just to put on these meetings. All this wasted activity and wealth is only possible because we burn fossil fuels. Stopping this stupid behavior is the only argument that would move me to ban fossil fuels. There is no mention of this in the BBC. I wonder why? The BBC will be waiting for Bob ward to provide suitable guidance on this matter. Robert Stavins blames the non-scientists. He essentially says that it’s those politicians not any scientists. To restore trust in ‘full scientific integrity’ he should have just strongly stated that all of the AR5 WG’s technical portions (written only by scientists) should be independently audited by a private multi-profession body outside of the UN / IPCC / governments with complete access to all the AR5 assessment process’ records and communications. That is a trust invoking position. For him to say in his letter that we can trust any WG’s technical summary (because it is produced only by scientists) naively begs the very question at issue. The issue is the how to trust when there appears to be reasonable evidence of significant activism influencing the entire IPCC which includes influencing both the team of scientists working on the technical WGs as well as political member working on SPMs. The lack of trust in the IPCC is held by the broader community interested in science integrity free from activism. Again, it is an issue about trust of scientists involved in the technical WG portion of the assessment process as well as for the politicians involved. I think we should verify by the above suggested audit then trust. …the resulting document should probably be called the Summary by Policymakers, rather than the Summary for Policymakers. Yes. It took me quite a long time to realise the same thing. The thrusting climatologists may have thought they’d hit the jackpot in terms of kudos, respect and funding for their out-gushings. This is despite being part of a discipline that, by definition, takes many decades or even centuries to be falsified. Many, but not all, probably also deceived themselves that the politicians really gave a toss. (Geologists, of course, know they are useful to the extractive industries). I’m probably even more politically naïve. Not enough conspiracy training, I guess. “Summary from Policymakers” will probably have seemed like a better choice when it becomes necessary to blame errors on predictive-texting. So 75% of the wording was taken out because of objections from various governments. We got to see the 25% that was left. Would be interesting to see the other 3/4’s and find out who objected and their reason. Dr. Richard Tol = carbon tax Trojan Horse. VERY OT but I just wanted to be sure you saw this. Sorry I missed it at the time. Here was my reply to Robert which is still awaiting moderation on his site. Robert All of the efforts of the WG3 group are based on the temperature forecasts made by the WG1 climate modelers. It is now abundantly clear that these models are inherently useless for climate forecasting and that the work of the WG3 group as a whole has no empirical scientific basis in addition to the particular problems with the SPM which you have outlined . It is really amazing that the WG2 and WG3 authors have been all working earnestly away on the basis of a future warming when it is more likely that the world will cool for the next 20 years and perhaps for hundreds of years beyond that. If we want to worry about extreme events the record of the Dansgaard – Oeschger events in the last glacial period and the 8200 year cooling event and the LIA in the Holocene should provide enough concern to keep the doom-lovers busy. Thanks for that, Gunga Din. I always read your posts, but missed that one. Smiles and tears, stories and laughter help us to honour those who have shuffled off this mortal coil. At some point, we are all faced with the realization that we can no longer play the children’s game. I don’t believe that your post is off topic. It is very relevant in the sense that we have to make decisions that affect the future. Adult decisions based on thorough understanding of all factors and consequences. Indeed, since the SPM is supposed to be the raw material for policymakers to use to form their opinions and policies, allowing delegates to force conformity with their pre-existing positions utterly defeats the purpose. Amazingly an experienced fellow like Tol doesn’t see that the ‘academic authorities’ are probably 100% in the extremist CAGW camp, not 97% so. Their funding depends on being in the vanguard of those who see the planet imperiled by addition of a few ppm CO2 a year. Over twenty years of projections more than double the slope of observations and going strong. And the economics, which Richard has been in charge of calculates the damage from a highly unlikely expectation of delta T, giving insufficient attention to the benefits side of the equation. Yeah, I know he is one of the good guys and it could have been worse, but this still is a relative appraisal. Which makes the IPCC useless as a ‘consensus authority’. In an argument from expert opinion, experts are supposed to be /unbiased/. But I think the bigger story is the one below this about Drax, on that same Mail on Sunday article that was linked above. Drax is the UK’s largest power station (4 gw), and it was going to go Green by burning every forest in the USA (with UK government blessings and subsidies). But now the UK government appears to had a change of heart about destroying every ecosystem in the US, and appears to be withdrawing subsidies. In one sense, this is a victory for common sense. However, what does this do for UK energy policy? Four coal mines have already started closing down in the UK, because of a lack of demand from Drax. But if Drax is left powerless, then the UK loses 5-7% of its power generation. And this at a time when the government is increasing electrical demand by subsidizing electric vehicles. So when do the lights go out? There’s a little nest of alarmists over at HotWhopper who don’t like what Tol is saying, so they declare him to be an “idiot”, “intellectually dishonest” and that he has (shock, horror) “personality traits that are not conducive to blogs, and definitely incompatible with Twitter.” It appears the level of debate over there has sunk to new lows.